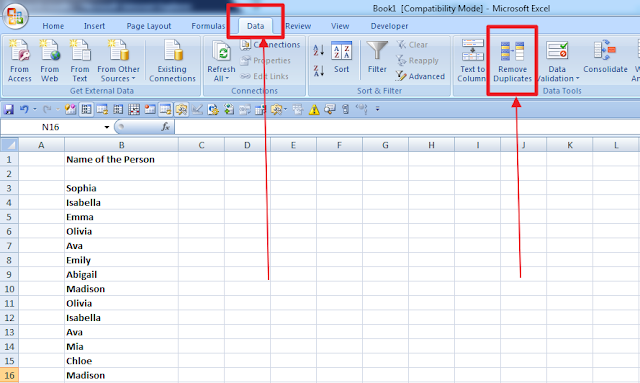 Excel tips : There are lot of options in excel , for removing duplicates. 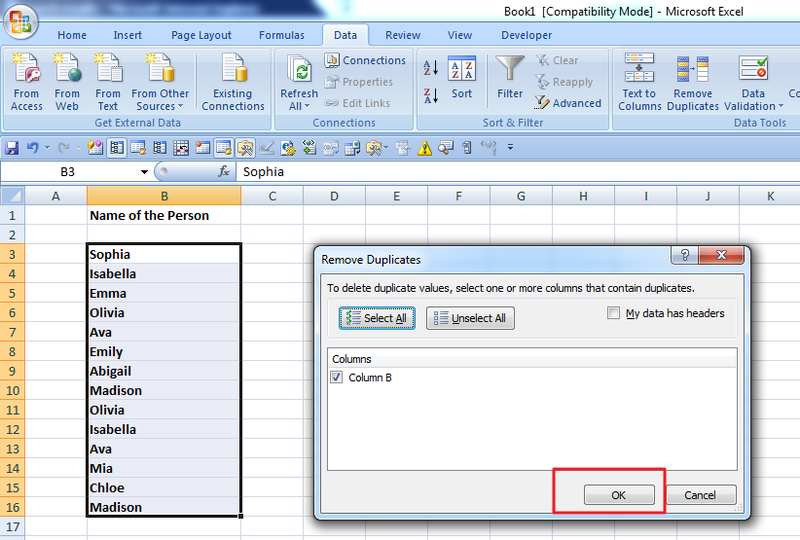 Here is the screen shot which helps you to understand how to remove duplicates in a single column as well as in multiple column in one click . There is no need to write any script or any code. 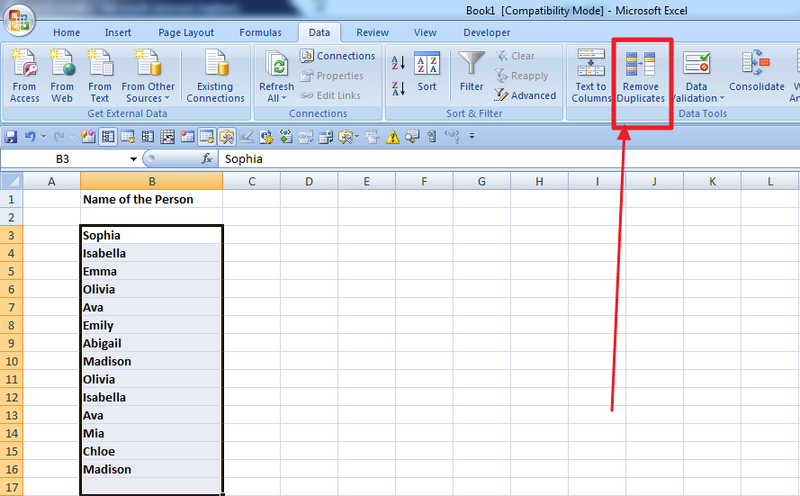 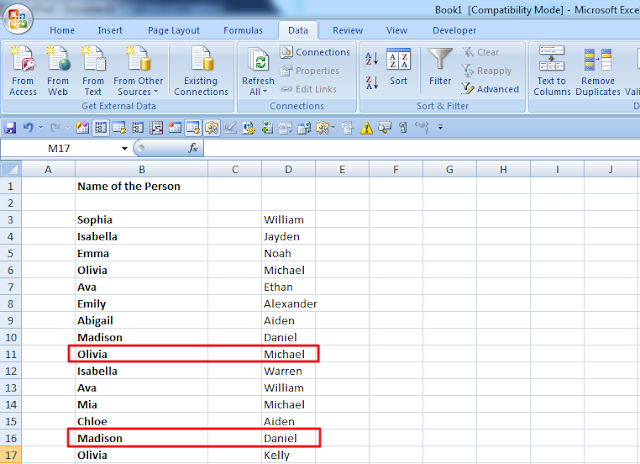 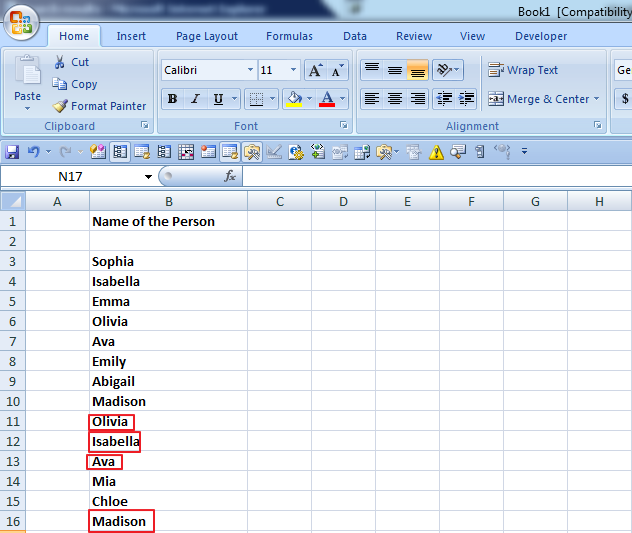 There are built in options in the Excel 2007 onward. 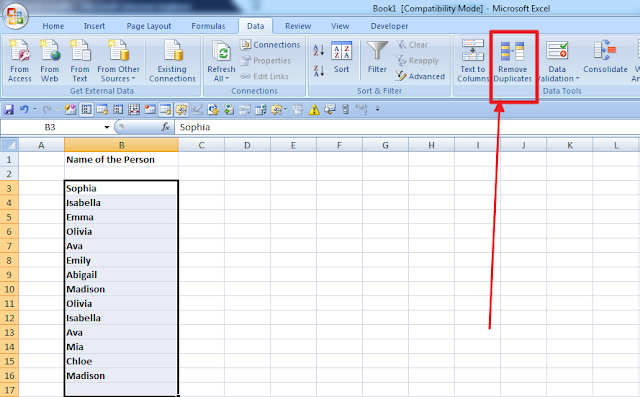 In the top ribbon, you can see the 5th ribbon as Data , marked in red box, click on that . 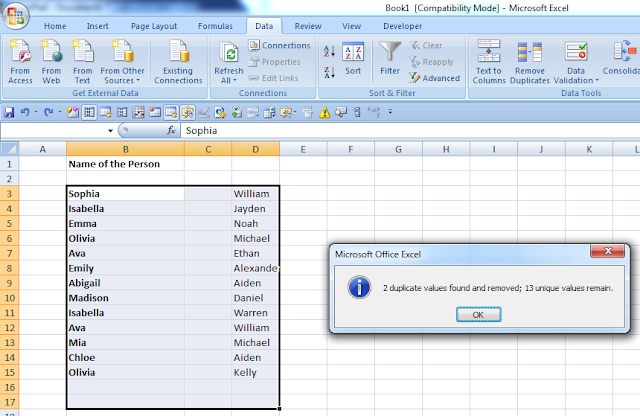 Now you can see "Remove Duplicates" marked in red . I hope now you can get what you are searching for . 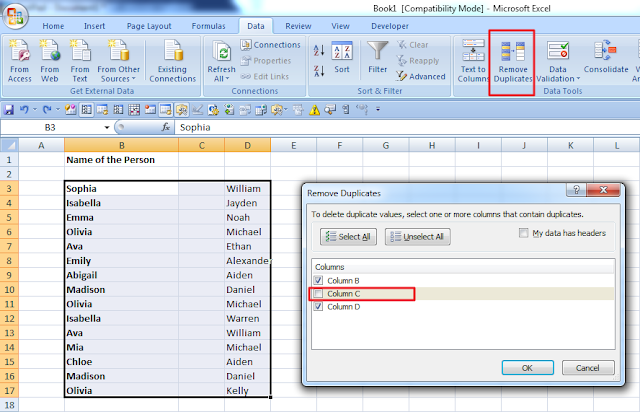 Select the column that you want to remove the duplicate and click on " Remove Duplicates"
b) Now click on "Remove Duplicate"
Now you can see the duplicates are removed . 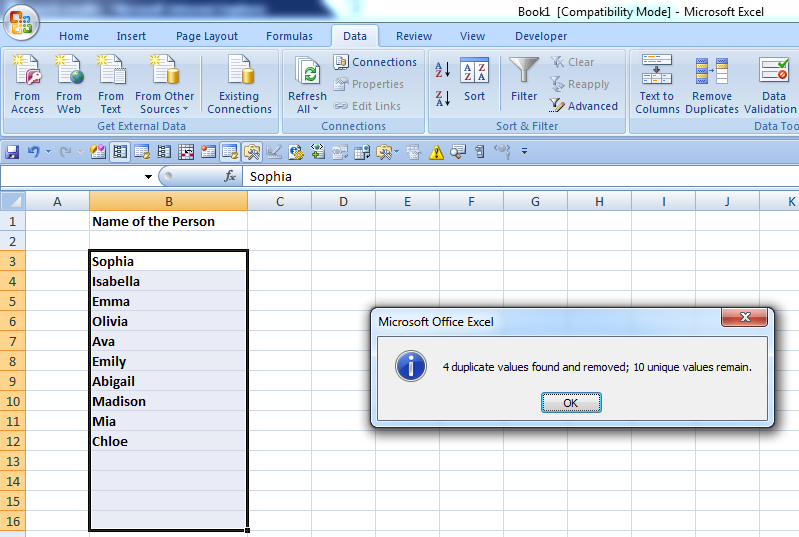 Hope you got what you required.